George Iosifidis of TCD and his fellow researchers are attempting to make IoT networks much more efficient. After completing a diploma in communication engineering from the Greek Air Force Academy in 2000, George Iosifidis went on to complete a master’s in communications networks at the University of Thessaly. He also completed a PhD in communication networks and economics at the university, followed by two postdoctoral research positions, including a two-year stint at Yale University that ended in 2016. 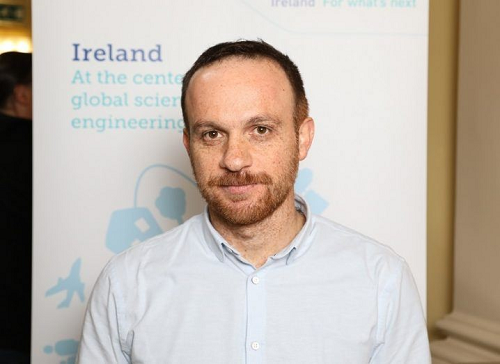 Iosifidis is now an Ussher assistant professor in future networks at the School of Computer Science and Statistics at Trinity College Dublin (TCD) and an investigator at the Science Foundation Ireland (SFI) Connect centre. From an early age, I was ‘contaminated’ with the ‘why’ question: how and why do things work? My favourite game as a child was to break my toys and whatever else I could grasp. I assume this was partially because I grew up mainly outdoors in a small village surrounded by agricultural machinery. I would watch people working with these machines or trying to fix them. My research focuses on wireless networks and computing systems with an emphasis on architectures that include infrastructure deployed and managed by the end users. We develop and test network protocols that allow people to share different types of resources: small processors or cameras in wearable devices; internet access through Wi-Fi access points or smartphone mobile hotspots; energy stored in portable devices; and so on. I am particularly interested in finding ways to leverage the capabilities, storage, computing and power of these devices. More recently, in collaboration with sociologists, we have also been conducting behavioural experiments to study what affects human sharing decisions and how we can eliminate biases in this process that create sharing inefficiencies. We know from social exchange theory that there is more value in resource exchange than the value of the actual resource, as people derive satisfaction from helping others when in need. From the emerging 5G wireless networks to the internet of things (IoT) and smart grids, in the near future, there will be an increasing number of systems where the end user will be an active part – or a node, if you will – of the network. This is extremely important as it allows us to turn congestion to collaboration; the more users join a system, the better for its operation. And, as many of us believe, it is the only way we can satisfy the huge demand for mobile communication and computing services in an economically sustainable and environmentally friendly fashion. In our lab, we follow different paths to explore this fascinating problem. Our lab was recently awarded a SFI project, SoftEdge, where we will collaborate with the IBM Thomas J Watson lab, IBM Ireland and NEC Laboratories Europe in order to solve timely industry problems and explore possibilities for commercialisation of our research. If we achieve our research goals, we will be able to develop user devices that learn how to collaborate and share resources with each other, hence increasing their performance and lowering the induced monetary, energy and other costs. The problems we are studying are extremely difficult. They involve complex and diverse systems, and their solution requires us using a mix of tools that includes rigorous mathematical analysis, system development and extensive testing. At the same time, one needs to work really fast as the competition is intense and involves both top universities and industry labs around the world. In Dublin, we are very fortunate to have a great ecosystem of universities and industries that work closely together, partly because of the SFI research centres, but also because of the fantastic culture that people have here that is not common in many other places. When it comes to collaboration and resource sharing, one of the biggest misconceptions is that it might induce losses for the participants. This misconception is not only related to network and infrastructure sharing, but actually appears in any form of collaboration. Just spend a minute to think how different our society would be if human interactions were not biased by this idea. For internet architectures and even more for the emerging IoT, where billions of devices will be connected to each other, the opportunity cost for lack of cooperation and resource sharing will be unprecedented, with huge implications for our environment and our economy. As scientists, we need to leave our comfort zone more often and study how we can leverage tools, methods and ideas from other disciplines to tackle challenging problems. I would love to participate in more interdisciplinary projects, and I think I will have the opportunity to do so. For instance, in TCD, we are currently working to fully launch E3, an interdisciplinary engineering, energy and environment research institute that brings together engineers, computer scientists, sociologists, economists and so on.